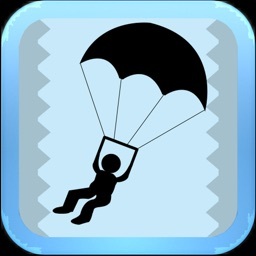 Do you want to jump from a parachute on to a river and safely land on a water tube in water? 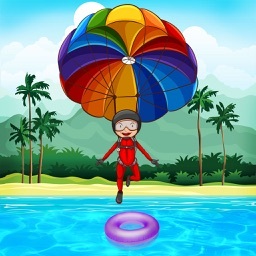 , then parachute jump game is the ideal game to do that. 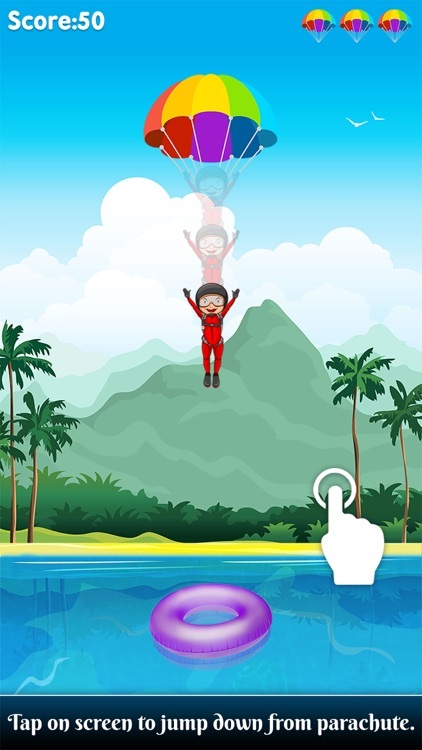 Parachute jump is a very interesting and addictive game, for people really looking for some fun and entertainment, with a mesmerizing scenery. 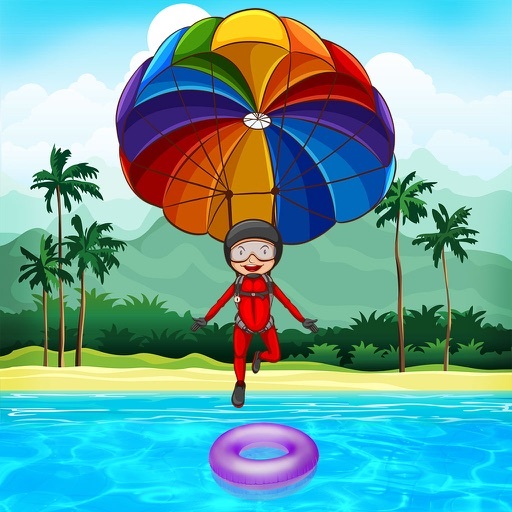 Experience the thrill by jumping from a parachute, to safely land on a water tube by avoiding obstacles on the way and falling in water. 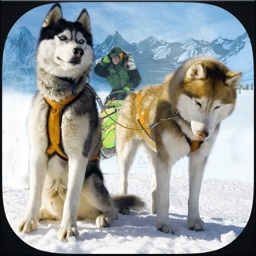 This game is like an escape mission wherein you have to escape the obstacles and make sure the landing is safe. 1. 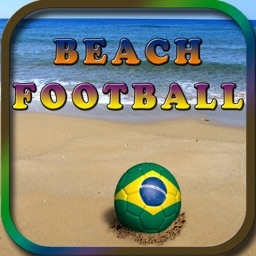 Start off with the game by tapping the screen. 2. 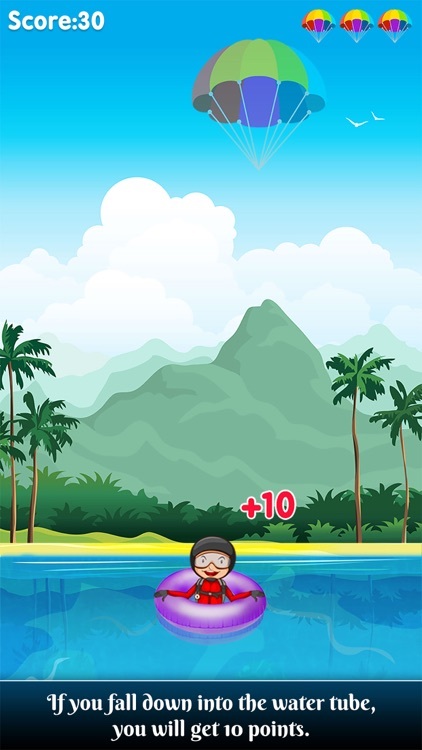 Make sure the boy lands on the water tube, which will fetch you points. 3. Here you have three lives. On missing the water tube, you lose a life. 4. 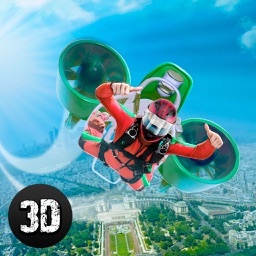 Avoid the obstacles on the way while landing. 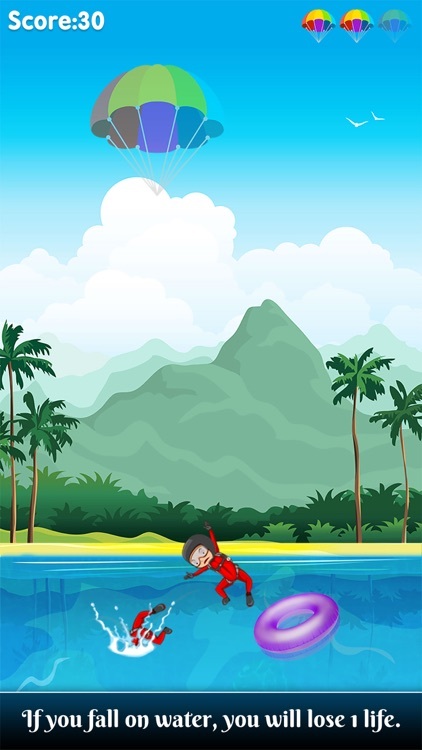 On hitting the obstacle also you lose a life. 5. On landing three times continuously on the water tube, you get an extra life. 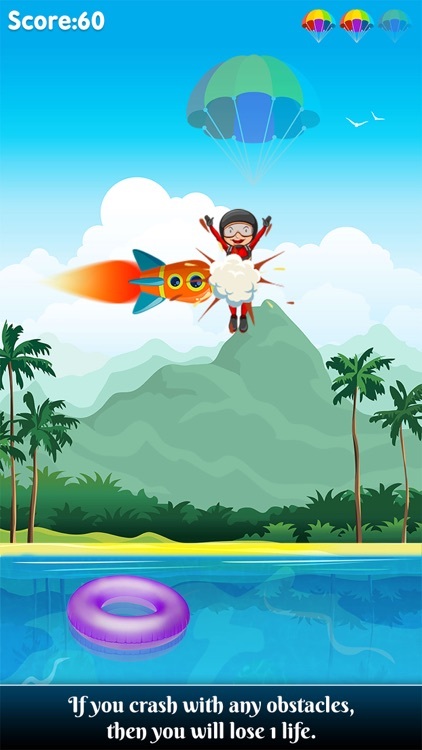 Download the parachute jump game app to experience the thrill of sky diving, and have unlimited fun.